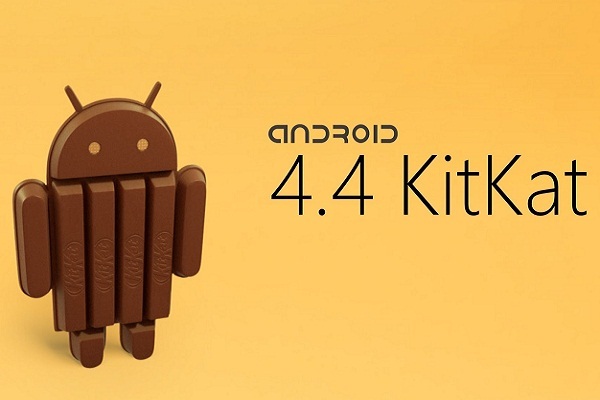 Today, Google unveiled their latest version of their Android-based operating system - Android 4.4 KitKat. The latest operating system is designed to work with both powerful and less powerful smartphones. This will not only appeal to a wider market, but should provide a more consistent experience across all Android smartphones. Before KitKat, some lower-end Android phones couldn't benefit from system updates. However, the release of KitKat will allow users with as little as 512MB of RAM to run the operating system 'comfortably'. "Building a platform that makes mobile phones accessible for everyone has always been at the heart of Android. Until now, some lower-end Android phones couldn't benefit from more recent Android releases due to memory constraints. With KitKat, we've slimmed down Android’s memory footprint by doing things like removing unnecessary background services and reducing the memory consumption of features that you use all the time," reads a post on Google's Official Blog. Down to the features. Google Now is one of the new and exciting features that'll be available on selected smartphones, and will work even when the smartphone is locked. Now has been overlooked in past operating system updates. However, KitKat hopes to change this as the newly upgraded Google Now provides enhances searching, commands and tasks in the hope that it will bring "apps and the web together". The feature enters a low power state when the phone is locked, but instantly turns on when it hears your voice. This will allow you to control your smartphone without having to pick it up! Google has also increase the overall performance of the operating system, which will provide faster and smoother response times. The company has also updated multi-tasking feature that should provide a "smoother" experience when running multiple apps. What's more, all these upgrades come at no cost the to battery life. One of the most noticeable updates is the enhanced Caller ID. It can be annoying when someone you don't know calls you, right? Well, the latest version of Caller ID will take any unrecognised numbers and automatically search through all business listings stored using Google Maps. This should help you identify who's calling without having to answer. Speech recognition has also received a small upgrade. Users will be able to wake their Nexus 5 by simply saying "Ok, Google." Furthermore, the company has added a feature that'll allow you to engage in a conversation with your phone. This is designed to improve the users search query, providing better results. For example, a user says "Call Jennifer." The phone will then respond with "which Jennifer?" and "mobile or work?" Google also revealed that there should be fewer mistakes when using speech recognition, as the company promises that the upgraded system has been improved by 25 per cent. Finally, KitKat will allow you to use any third-party messaging software as your primary SMS conduit, as long as it's downloaded from the Google Play store. KitKat will be available for Android developers starting today, with phones from other markets receiving the operating system next year. So, what are your thoughts on the new operating system? What specific features appeal to you? Let us know in the comments below.